tourists, with shops that sell souvenirs, antiques and jewelry. 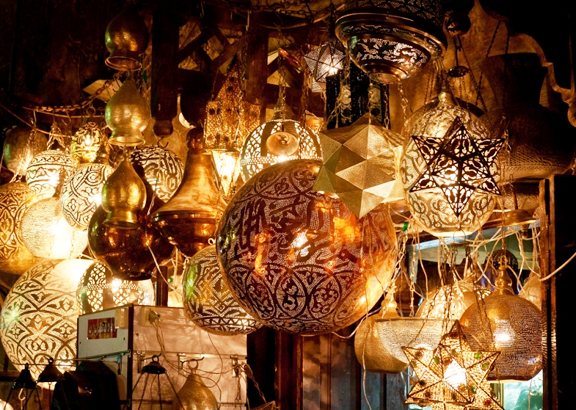 Many traditional workshops also operate in the area, such as the goldsmiths' souk, which is still important for locals. 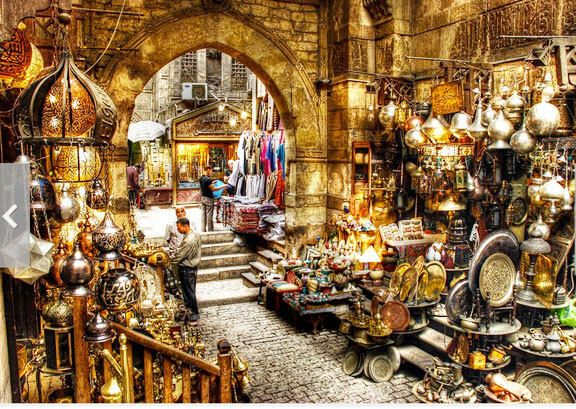 By the late 15th century, the district around Khan el-Khalili had become the major center of foreign trade, which included the sale of slaves and precious stones. 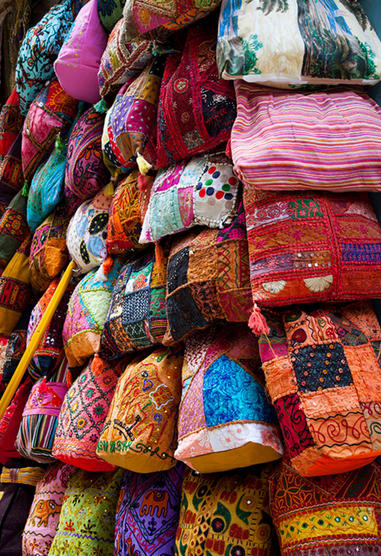 In addition to shops, there are several coffeehouses, restaurants, and street food vendors throughout the market. 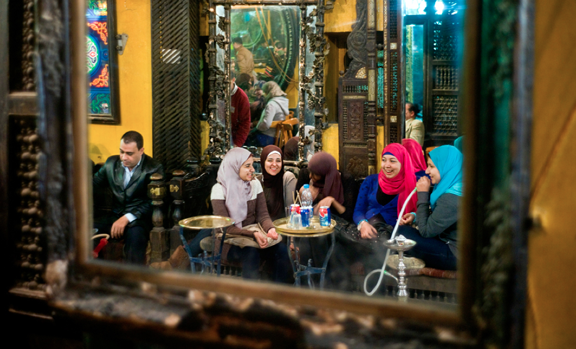 The coffeeshops are generally small and quite traditional, serving Arabic coffee and offering shisha - smoking flavored tobacco vaporized through a waterpipe. 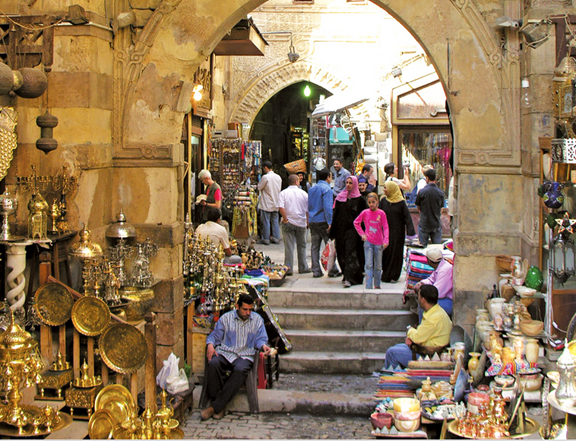 On a narrow street in the souk you will find the El Fishawy Cafe, or Cafe of Mirrors, which was once a meeting place for local artists. 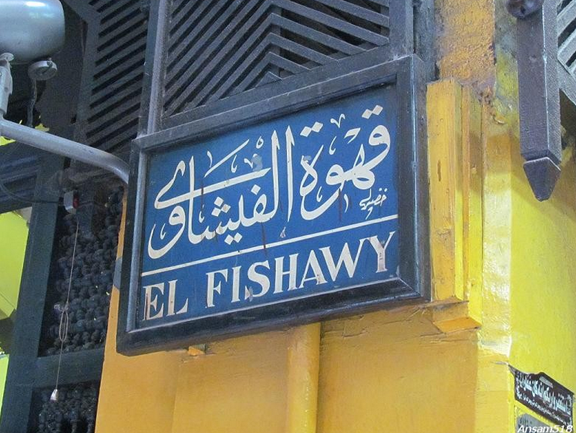 It is still frequented by the Nobel Award winning Naguib Mahfouz, one of Egypt's most well-known authors.